There are times when sophisticated, subtle food just doesn’t cut the mustard. It might be a hangover, it might be jet lag or hormones but whatever the cause, you need a dish that will pack a punch and satisfy on all levels. 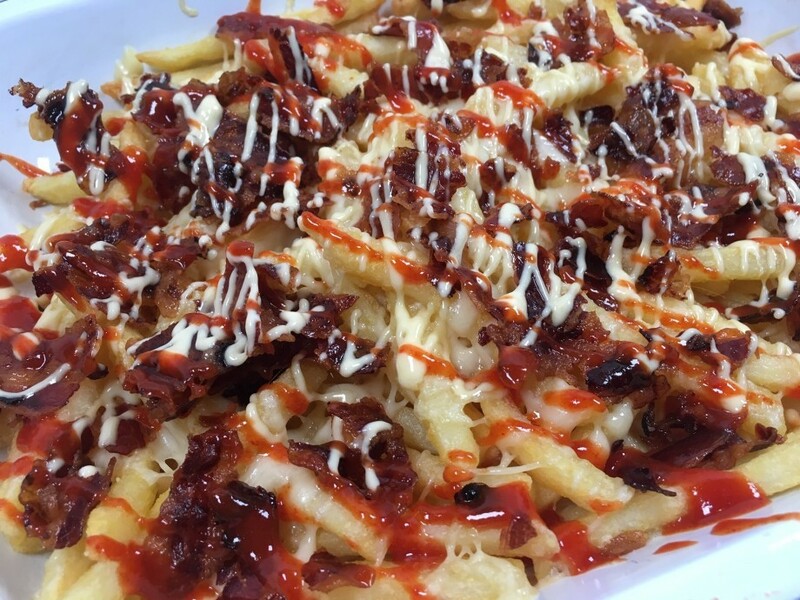 Can I suggest these loaded fries i.e. chips with knobs on. I use oven-baked French fries and, if you’re feeling particularly fragile, you don’t even need to make the smoked garlic aioli –you can add some crushed garlic to your favourite shop-bought mayo. It’s not pretty and won’t win any culinary awards but I will bet there will be no leftovers. For the aioli, put the egg, egg yolk, both mustards, vinegar and garlic in the small bowl of a food processor. Add a good pinch of salt. Blend for 20-30 seconds and with the motor running slowly drizzle in the rapeseed oil followed by the olive oil. The aioli should be thick and glossy. Taste and season with a little more salt if necessary and stir in the lemon juice. I spoon the aioli into a squirty bottle to make it easy to drizzle over the fries but you can spoon into a jar if you prefer. Refrigerate until ready to eat. Heat the oven to 200˚c, fan oven 180˚c, mark 6. 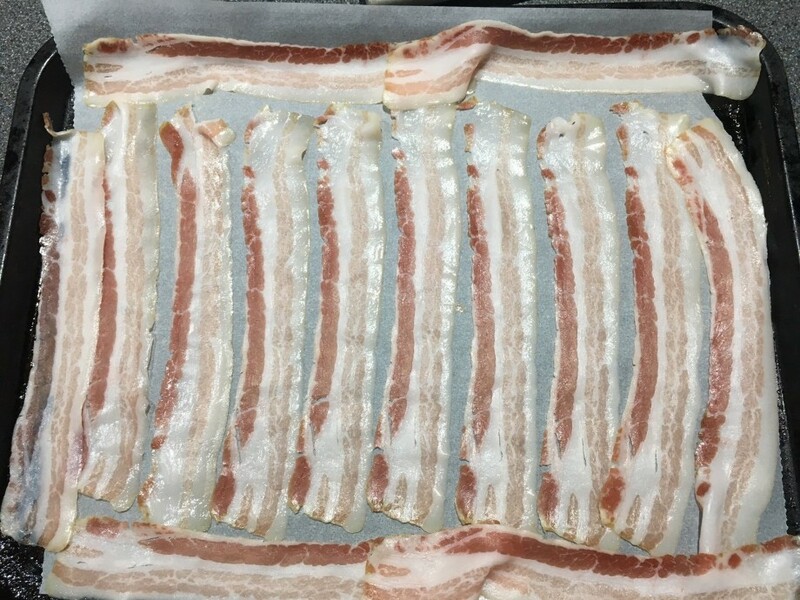 Line a baking tray with non-stick baking parchment and lay the pancetta slices over the parchment. Cook for about 5 minutes until the pancetta is deep golden brown. Leave to cool then crumble into smallish pieces. 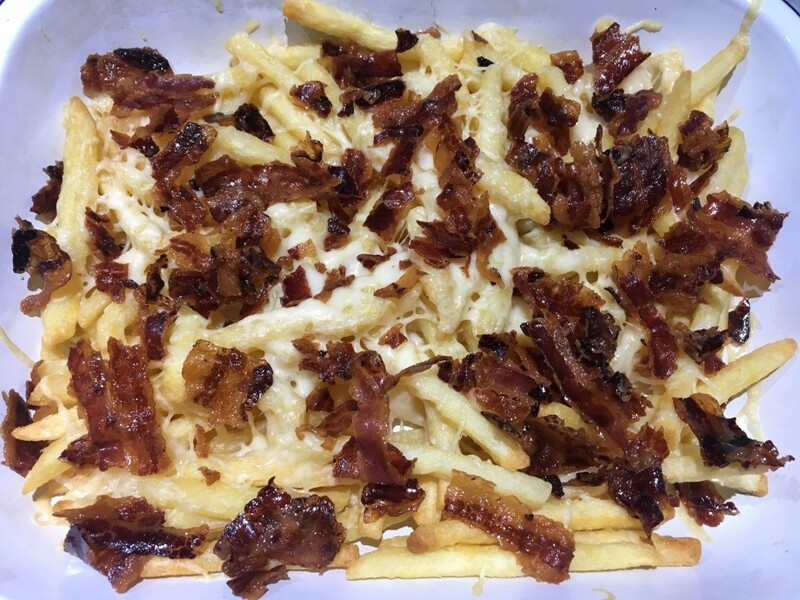 Spread the oven chips over the same baking tray-the fat from the pancetta will flavour the chips. Bake in the oven for about 20-25 minutes until golden. Transfer the chips to an ovenproof dish. Sprinkle over the cheese and return to the oven for about 5 minutes until the cheese has melted. Scatter the crumbled pancetta over the chips. Drizzle over the smoked garlic aioli and sriracha and serve immediately.